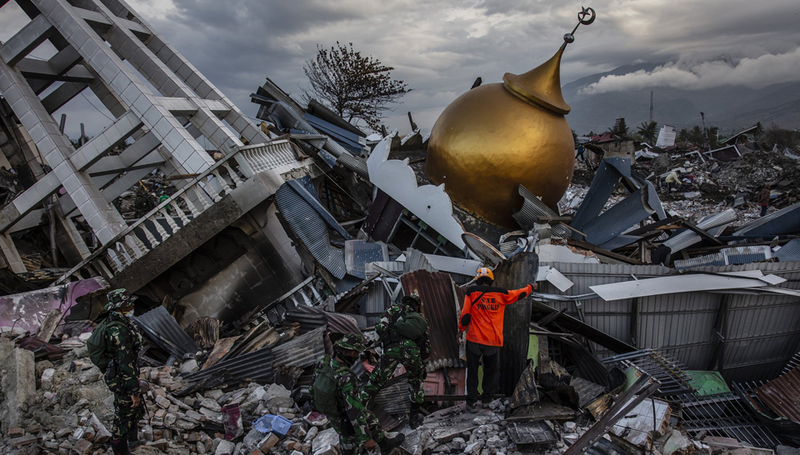 On September 28, a 7.5 magnitude earthquake triggered a tsunami on the Indonesian island of Sulawesi. The city of Palu was destroyed as were other villages on the island. Today, 10 days later, the official death toll has risen over 2,000, while as many as 5,000 bodies remain buried. In the meantime, global news focused on the #metoo resistance movement against the US Supreme Court nominee. Like everyone around me, I was riveted, disgusted, and outraged, but by the weekend, I had given up watching the news as yet another white man ascended to a position of lifetime power. Now that the recent battle is over—not lost because resistance will continue—I want to return to a reality that includes consciousness about: those suffering in Indonesia; the frightening outcome of elections in Brazil through which yet another nationalist male is about to attain presidency; the urgent need to tackle global warming; the imprisonment and disappearance of artists and journalists who resist; deportation and detention of children along the borders; rising walls; our reproductive rights; and yes, the #metoo movement because we will not be silenced.